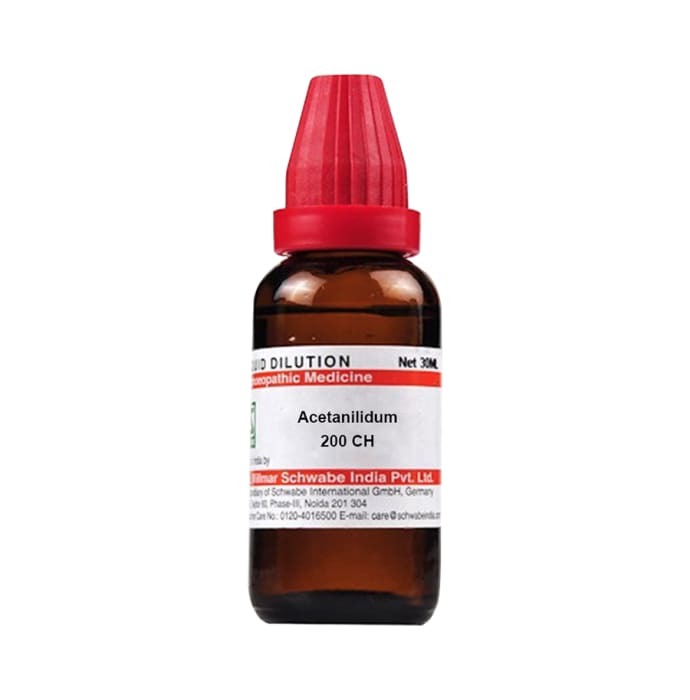 Dr Willmar Schwabe India Acetanilidum Dilution is an effective medicine against cold susceptibility, headache, irregular pulse and cyanosis. It also helps in reducing the body temperature in case of fever. It is helpful against weaknesses and skin discoloration. It also provides relief from swollen ankles and feet.